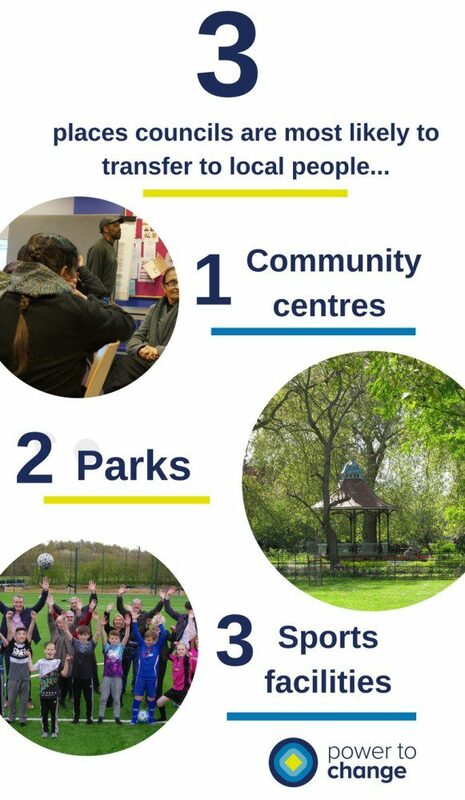 The Power to Change Research Institute commissioned New Local Government Network in March 2016, to provide the most comprehensive possible mapping of asset transfers from local authorities to communities in recent years. This report found steady progress in assets being transferred to communities over the past 5 years, and identified gaps in available data on asset transfers from local authorities. There were encouraging examples of local authorities and communities working together to ensure local assets were protected and could form the core of an important local community business.